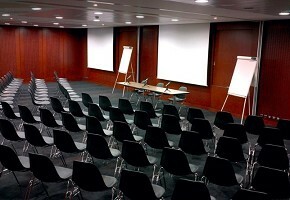 The Case of Merignac space is an ideal place to host business events. Every day of 8h00 to 18h00, l'Espace Affaires welcomes you at Bordeaux Airport for your business appointments, seminars and meetings in its air-conditioned lounges, spacious and flexible, for an hour or for several days, or as part of its "seminar packages." custom quote within 24 H.
See other venues of seminars, conferences and symposia in Bordeaux (33) or in the department Gironde. 255 places surveyed in Aquitaine, 97 interviewed in the department: Gironde and 55 places surveyed around Bordeaux (33) on the last 30 days. Internet access, projection screen, without son Microphones, Paper board, lectern, overhead projector, sound system, cloakroom, video projector.